Before taking off, relax in our Lounge. Rooms are also available for rent by our partner Lecoq Gadby. 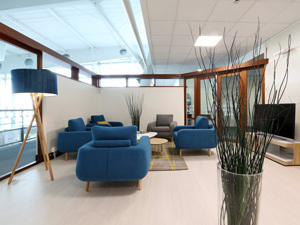 Located on the first floor of the airport, a lounge provides business passengers with a quiet area equipped with an Internet connection. Access to the area does not require reservation, at a charge of €12 all taxes included the access. 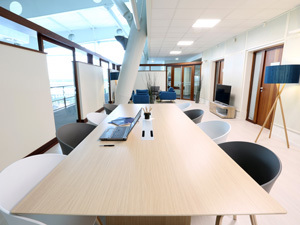 A yearly subscription for business lounge is proposed at €150 all taxes included. Rent your office at the airport. 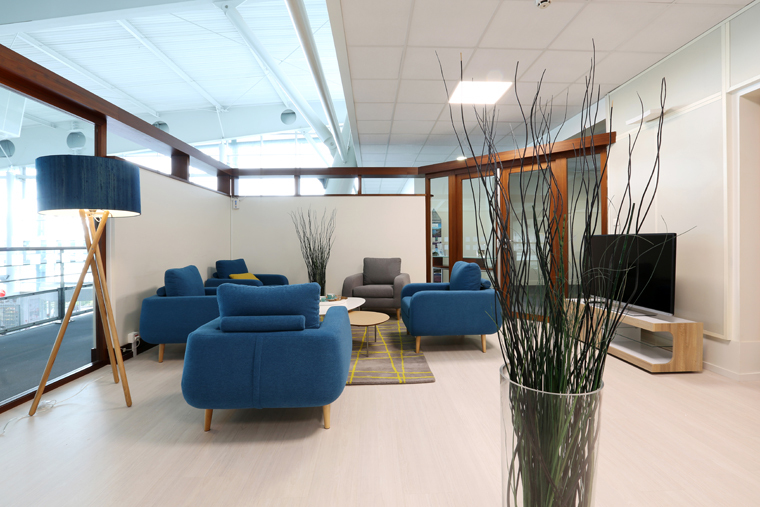 The offices have a surface area of 10m² and are designed for 1 to 3 people. They are located on the first floor of the airport. 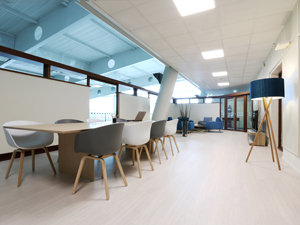 The rental of meeting rooms is now managed by our partner Lecoq Gadby. 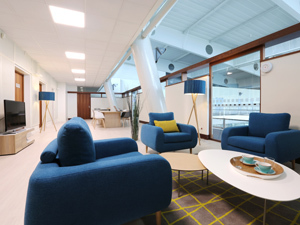 Through them, you can rent the rooms located in the heart of the terminal. You will thus benefit from an original setting for the organization of your seminars, trainings, show-rooms, workshops, recruitments or working meetings.